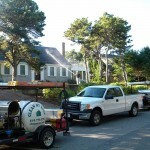 Clean My Roof LLC is now offering safe, LOW-PRESSURE roof cleaning on Cape Cod. We’re experts at removing those ugly black streaks that are ruining your home’s overall impression, curb appeal and perceived value, (not to mention running up your energy bills). Most roofs can be cleaned in a few hours, with results that are apparent immediately and will protect your roof for years to come! 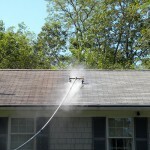 We Offer Free Gutter Cleaning with Every Complete-Home Roof Cleaning!!! 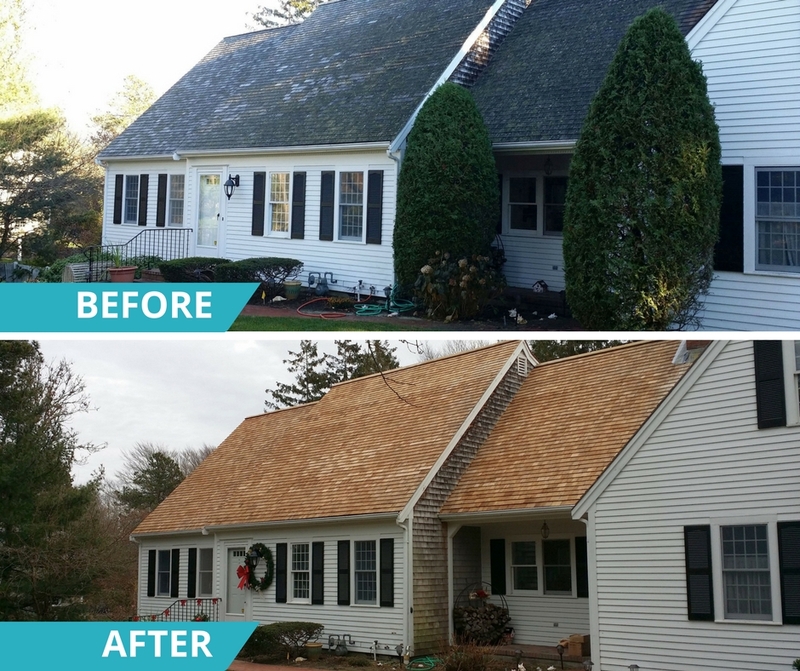 Call us today for your free estimate: (508)394-3600. We offer Professional Overall House and Roof Cleaning Services including all types of Siding, Decks, Patios, Walkways & Stairs as well! Have you noticed the incredible outbreak of roof stains in your neighborhood, your town, and even the entire Cape? Roof stains, and the damage to homes they bring with them, are infesting the Cape in epidemic proportions. Until recently, most of us thought all this ugliness was just an eyesore, and while not fun to look at, wasn’t actually shortening the lifespan of our roofs, or raising our energy bills. This, however, is simply not the case. In fact, up to 80% of the homes and businesses today with shingled roofs will develop problems caused by algae, fungus, moss, etc. The reason for this is mainly that the composition of the shingles themselves haschanged dramatically over the years. Materials now used to make shingles are the favorite food of algae, moss, mold and fungi. Cheap fillers like limestone, wood chips, and cardboard are being substituted for the high grade materials that should be used in many shingles today. Shingle manufactures saved a buck-at our expense. So what can you do about it? Some Contractors will tell you that power-washing your roof with a chemical based solution will do the trick, but in reality, this will do more harm then good. Some Roofers will tell you that you need a new roof, and it can’t be washed, but this is not true, either. So, what can you really do to save your roof from being eaten away by moss and algae, and eventually needing to be replaced much earlier than it should? 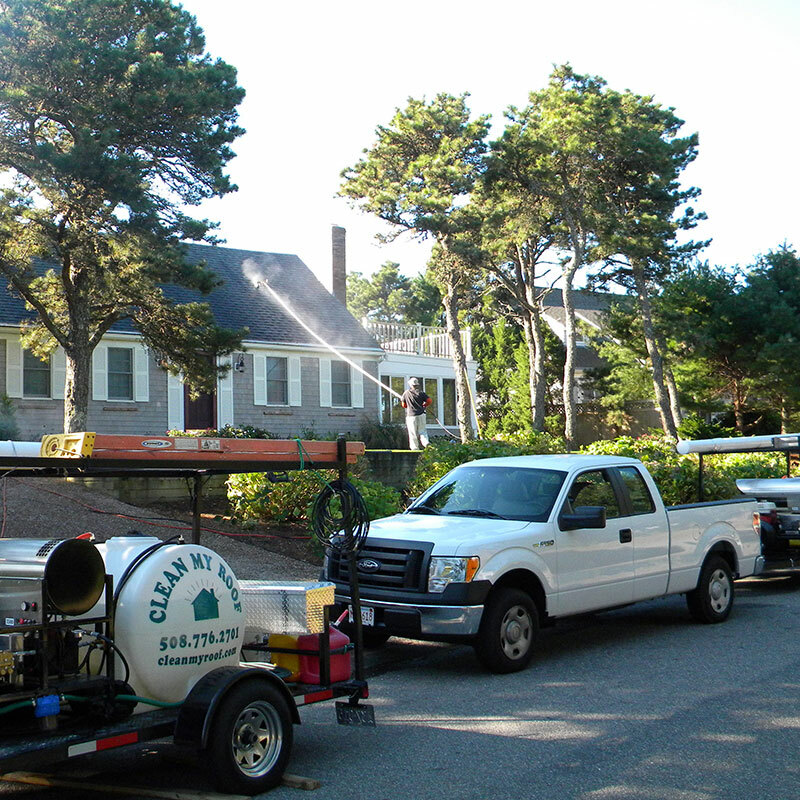 The real solution lies in a quick, safe and eco-friendly low pressure shingle cleaning by the professionals at CleanMyRoofLLC.com. What can CleanMyRoof.com do for me? Our expert inspectors will assess your roof and give you a quick estimate and time-frame for our services to be performed. We use cutting-edge technology and provide you with a comprehensive report after every inspection. We always focus on providing you with the most cost effective solution. We will never try to sell you more service than you need. Our preventative maintenance programs protect your investment and give you peace of mind. Our regular inspection program will find potential problems and solve them before they cause significant damage. We save you money! We are experts at roof restoral.